A parent challenged the book, objecting to language, alcohol use, violence and sexual descriptions. 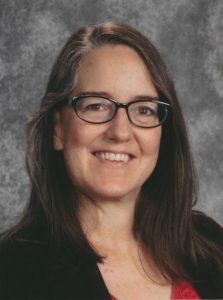 I had a chance to talk to Gina T. Schaarschmidt, the Challenger Middle School librarian, about the challenge and her experience working with the Office for Intellectual Freedom. 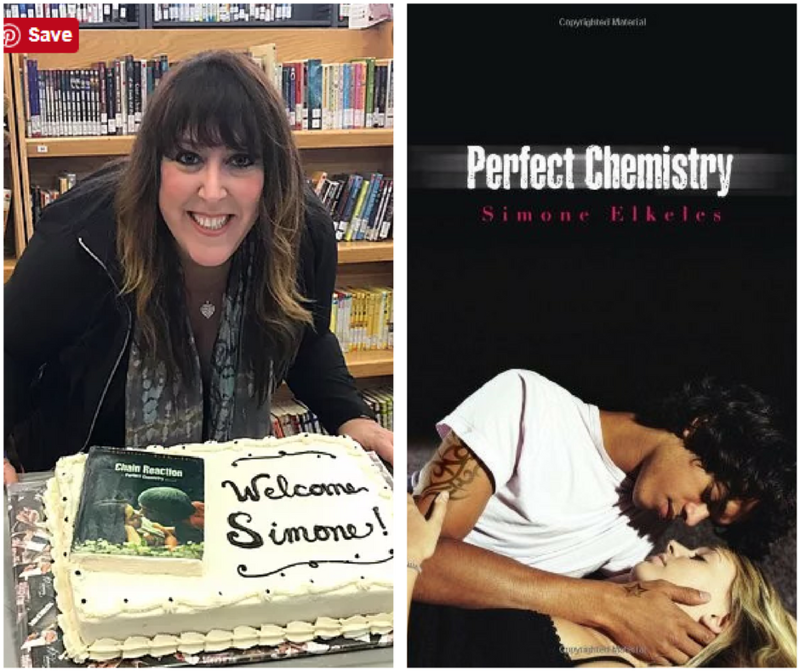 Lisa Hoover: Tell me a little about the challenge to Perfect Chemistry in your library. What were the objections to the book, and who raised them? Gina T. Schaarschmidt, Challenger Middle School librarian: We had had the book in our library for about 10 years and, honestly, it hadn’t raised any flags at all for me or for my predecessor. It had a decent circulation, so it wouldn’t have come up in any weeding reports, either. First, because we are a middle school, we label our Young Adult material with a YA sticker, indicating that the books are recommended for students 8th grade or older and/or 14 years or older. We inform the parents and the students of the practice. The mother of a 6th-grade girl had found the book, along with several other books, under her daughter’s pillow and asked me what the YA sticker meant. I explained the practice to her. She hadn’t read the book, but after reading it, filed a formal written challenge, stating that “no middle school student should be exposed to this book no matter how mature they are.” She also challenged the rest of the series, although she indicated she hadn’t read them. The mother stated in her paperwork that she objected to the language (in English and in Spanish), alcohol use, some violence, guns and sexual situations. The solution she was seeking was to have the books removed from all middle schools in the district, that every parent whose child had checked out the book be notified, and that parental approval be required for all YA books. LH: Do you think removing the book has any potential negative effects for students? GS: Yes! Not only does it restrict their access to this series, it puts every other book in the school district at risk. The book met the district selection policy and was selected for the more mature students at our school. It was a YALSA top pick for reluctant readers. It was challenged and then retained through every step in the process until the process was derailed. For it (and all the other books in the series) to be pulled by the superintendent after it had gone through the process sets a concerning precedent. That’s why my colleague and I filed the appeal. LH: Did you have a challenge policy in place prior to this incident? And if so, was it followed? Was anything about the policy changed after this challenge? GS: Our district policy requires the challenge to be in writing, followed by a school-based committee review of the book (which included parents, teachers, a librarian and an administrator), an appeal process to the superintendent’s office, and an appeal process to the school board. The process was followed and the book retained through to the final step, when upon the parent’s appeal to the school board, the superintendent’s office overturned their previous decision and pulled the book and the series. The reversal happened after school let out for the summer. That was when we filed the appeal. LH: It sounds like there was a really involved book review committee fighting to appeal the ban — the Gazette article I read said the group submitted a 92-page appeal! Can you tell me a little about the committee members and how they came to be involved? GS: Actually, it was difficult to gain traction because the decision was overturned during summer break. Many people were out of town, and we didn’t feel it was appropriate, as employees of the district, to lobby for support. Our administrator notified the internal school committee, which included a parent of a sixth-grader and an eighth-grader, a seventh-grade teacher who was the parent of a sixth-grader, and sixth-grade teacher who was a parent of another sixth-grader. People outside the committee found out through the grapevine. My predecessor, Dianna Fricke (also a parent of a seventh-grader), had presented the rationale for selecting the book and for retention, so she was involved in the process the whole time. The 92-page appeal was filed by Ms. Fricke and me, with letters of support included from committee members, district staff, parents, the author, community members, and a student. Ms. Fricke and I submitted the appeal because we wanted to highlight the fact that the policy/procedure had suddenly been derailed, and wanted the school board to be able to put the challenge into context. There was a lot of work that went on behind the scenes and we thought that anyone who reviewed the entire process in context would surely understand that the book should be retained. We were wrong. The school board meeting was not as we expected. While we were braced for the book’s removal, we hadn’t anticipated the board members’ comments, and that political aspects would come into play. LH: I understand you worked with the ALA Office for Intellectual Freedom on this issue. How did that come about and how was it helpful? GS: I called ALA when the books were pulled. I called because I felt alone and didn’t know what to do. Kristin Pekoll helped me feel like I had a friend that had already been through the process of a challenge. I’ve told several people (including her) that she has a great bedside manner. She didn’t push an agenda; she offered support by asking me what I needed. LH: And the author wrote a letter defending the book. How helpful was it to have the author involved in this process? GS: We were thrilled that Simone Elkeles wrote a letter supporting the retention. In my communications with her, she shared with me so many stories of grateful teens, parents and school employees who had written to her, telling her how her books influenced people in their lives. LH: The Gazette article I read mentioned two other books were also challenged and pulled and that a parent requested an inventory of all books in the school library. Did that happen, and if so, what was the result? GS: The other books pulled were the rest of the Perfect Chemistry series. At the time the first book was pulled, the second book in the series had made it past the school committee review and was retained. Our administration was convening yet a third community review committee when this happened. The parent who challenged the book requested the list of all YA books. Our books are public property and I believe in transparency. She could have done a search in our catalog from home, but it was fairly easy to run a report for her listing all our books. It’s been a year now, so I don’t know that anything came of that request. LH: Schools act in loco parentis regarding the children in their care. How do you think we square that with professional library values regarding free speech and the right to read and equal access for all? GS: Reading selection is between the parent and the child. No library can anticipate the specific needs of every family. Throughout my school library career, I have taught self-selection and self-censorship. The kids know that if they check out a book that they know isn’t right for them or their family, they should just return it and ask for help finding another, more suitable one. I have kids ask for guidance all the time, and they let me know what they are looking for and what their parents are uncomfortable with. Some books, Perfect Chemistry included, are meant for students who have grown beyond middle grade books. Personally, I feel that kids on the fringes, whatever the circumstances, are the most in need of books to relate to. I select books for everyone in the community, not just the majority. Kids need to know they aren’t alone, and books can help. It also creates a safe environment where kids can exercise their critical thinking skills. They can look at the choices book characters make and reflect on whether they agree with those choices. It’s important that kids get to practice critical thinking so that they can explore their world and talk to their parents about issues. Middle school has such a wide range of maturity levels; that’s why we include young adult books and indicate them with a sticker. I select books according to professional reviews, and that are recommended by professionals for middle schoolers, junior high schoolers, and children ages 7 and older (yes, we have Captain Underpants in our library). We don’t select books that are not recommended by a professional for the age ranges in our school. LH: Any advice for other librarians facing a challenge for the first time? GS: First, I would say to select books based on professional reviews and your policy, and don’t shy away from controversial material. Talk to your superiors about the selection policy and philosophy, and keep the conversation going. Our school administration had had experience with informal challenges and had worked with our previous librarian, so they didn’t panic and pull the books as someone with less experience or less confidence might do. Second, familiarize yourself with the ALA Challenge Support page and the Response to Challenges page. I wish I had reviewed the oral response protocol and practiced it because I think I expressed too much empathy and tried too hard to befriend the parent. When trying to clarify to the parent in the initial conversation what that meant by “young adult,” I made a mistake. I used the analogy of PG-13 movies, in that kids should be cognizant of their parents’ opinions when selecting books. She misunderstood my analogy, thinking that the YA sticker was akin to a PG-13 movie. Yikes. I was trying to be helpful by emphasizing the parent involvement component, but she took the rating reference literally and indicated in every further communication that the book should not have a PG-13 rating. Third, document EVERYTHING, from the first whiff of concern. I sent myself an email after each conversation and stayed in contact with my administration so that they wouldn’t be surprised if anything came up. Document everything truthfully and put yourself in the place of an objective observer. Finally, know that you can survive the process, even if it doesn’t go the way you wished. When school started up again in the fall, I was surprised to find support in many unlikely places. It was difficult, but if I hadn’t seen it through the appeal process, I would feel like I had not done everything I could have to defend the right of kids to read. LH: Thanks, Gina, for taking the time to talk with me! What if You Face a Challenge? First, Make sure your library has a policy in place to deal with challenges, and always keep the Library Bill of Rights in mind. Second, if you find yourself facing a challenge, don’t panic! The Office for Intellectual Freedom can help, so start by reporting the challenge. They offer challenge support for your library, and personal support for you during a difficult time. In addition, reporting a challenge helps the OIF keep track of challenges around the country each year, which they use to compile information such as the top ten list of challenged books each year. Libraries are an important protector of the right to read and intellectual freedom, so this “Libraries Lead”-themed National Library Week, let’s take a few moments to recognize library leaders who work to make sure library patrons have equal access to materials and the right to read, especially in the face of challenges. 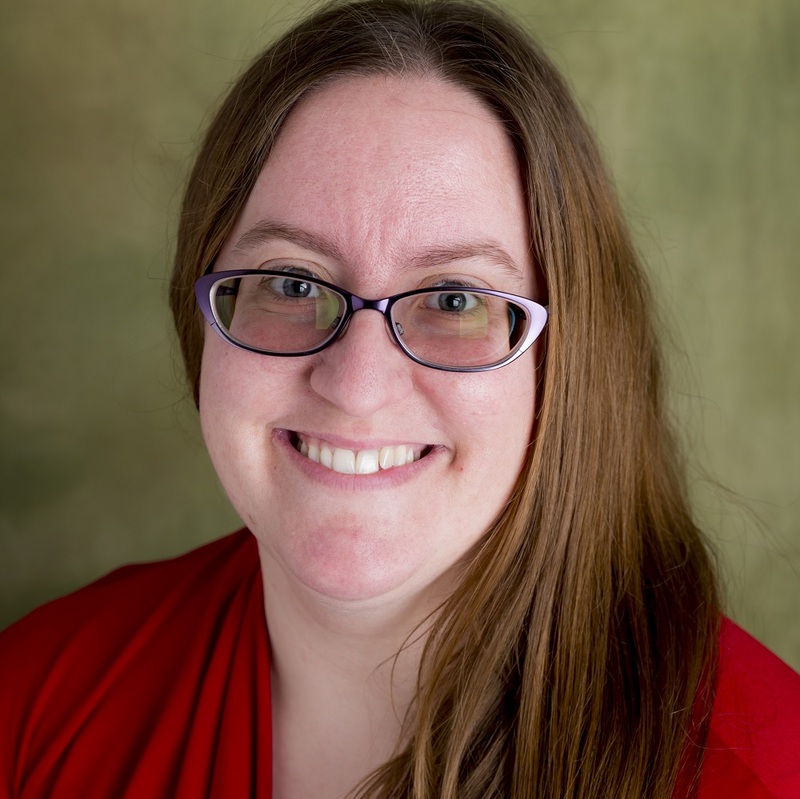 Lisa Hoover is a public services librarian at Clarkson University and an adjunct professor in criminal justice at SUNY Canton. In addition to her MLS, Lisa holds a JD and an MA in political science. She began her career as an editor and then manager for a local news organization, adjunct teaching in her “spare time.” She teaches courses in criminal procedure, criminal law and constitutional law. She is passionate about 1st Amendment issues. She recently began her career as a librarian, starting at Clarkson University in June 2017 teaching information literacy sessions and offering reference services. Lisa and her husband Lee live in Norwood, New York with their cats Hercules and Pandora and pug-mix Alexstrasza (Alex). Find her on Twitter @LisaHoover01.